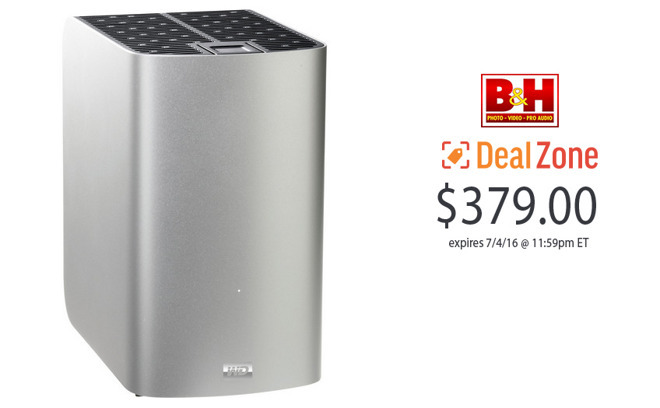 Today only, B&H is slashing the price of the Western Digital 8TB My Book Thunderbolt Duo to $379 with free shipping. Normally $549, this equates to a discount of $170 off. The RAID external device features 2 x Thunderbolt Ports supporting up to a 10 Gb/s Data Transfer Rate. It's also compatible with systems running Mac OS X 10.6.8 or higher. This special DealZone offer is valid while supplies last.